Zak Designs has been in business since 1976. They have hit the media heavily being featured in Parenting magazine and Good Housekeeping among other venues. Their belief that meal time should be fun and their commitment to being eco-friendly has carried them well. They are the manufacturer and distributor of many licensed "favorites" amongst kids and teens. They also produce baby dinnerware. 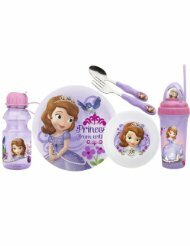 Some of the popular characters featured in dinnerware sets by Zak Designs include Disney Princesses and Fairies, Mickey and Minnie Mouse, Spiderman, Cars, the Avengers, Hello Kitty, Thomas and Friends, Dora the Explorer, SpongeBob and SquarePants, the Toy Story characters, the Muppets, and iCarly, as well as the classic Pooh. The "on-the-go" drinkware distributed by Zak Designs is amazing for traveling with kids (or teens for that matter!) It makes it easy to give them drinks in a car without dealing with the mess. The kid decorated containers are awesome for storing kid friendly snacks. 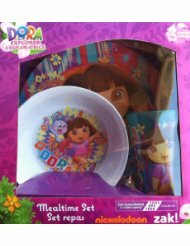 Their plates, divided plates and bowls are perfect for unbreakable dinnerware for kids, toddlers and babies. 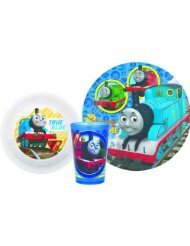 Their dinnerware sets are a favorite of kids, and teens like the confetti and paint collections in vibrant colors and the party ware features designs from Halloween dinnerware to assorted, brightly colored party plates. Regardless of the size or age of your family members, Zak! Designs is a fun-filled producer of dinnerware that all your family will love. They even have some stuff for mom that will help her to put on an awesome party for kids or adults. Without my knowledge, I have used products manufacturered by this company for years. 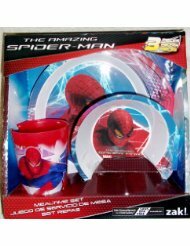 I raised two boys and they were very into on-the-go cups with Spiderman being their hero. My nephews are into Cars and my nieces, of course, love the Disney Princesses and the Disney Fairies. I have purchased many of the items that are manufactured by Zak! Designs and I didn't even know it until I started researching the company - go figure!